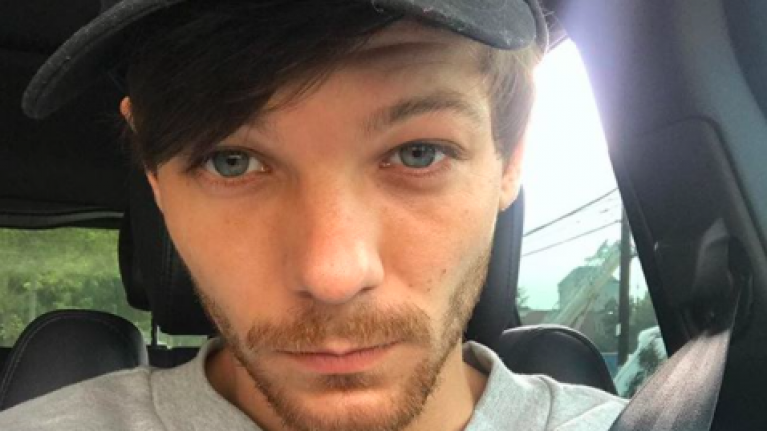 Louis Tomlinson has had his fair share of grief. The 27-year-old lost both his mom and sister in the past three years. In 2016, his mother, Johannah, passed away after battling with Leukemia. This was then followed by the heartbreaking news last month that Louis' 18-year-old sister, Félicité, passed away from a suspected heart attack. Now, on an episode of Lorraine which aired today, Louis discusses grief and dealing with loss in a poignant interview. The interview was actually recorded five days before the death of his sister, then being released today. Speaking about loss, Louis revealed that his new song "Two Of Us" which is dedicated to his mom, helps him to talk openly about how he's feeling. "We can all talk about it a little bit more which is why I feel good about singing the lyrics because it was a moment for me to speak about it publicly and put it into lyrics." Continuing, Louis added that his son, Freddie, helps him forget all his stresses even for a moment. "I have said a few times; it's the responsibility side of things that have made the [grief] process a little bit easier for me. Every time I spend time with Freddie... you feel so much love and it doesn't matter what's going on, in that moment that's all you are thinking about. Those times with him are priceless." Louis hasn't publicly spoken about the passing of his sister but his other sisters, Lottie and twins, Phoebe and Daisy posted emotional tributes.